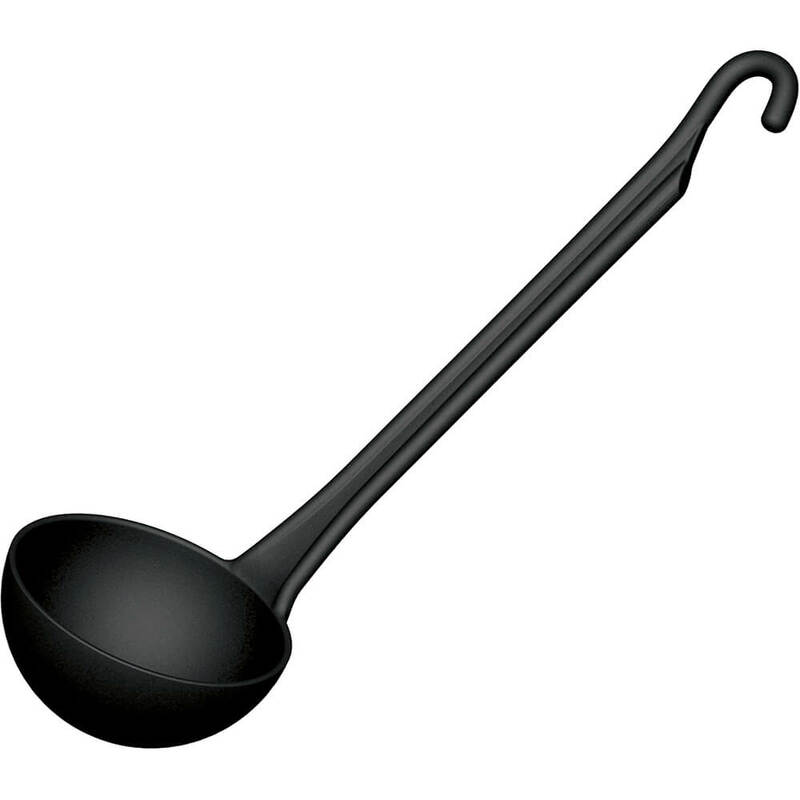 This 8 1/2-ounce composite short-handled ladle is part of a highly innovative line of kitchen tools by Paderno Italy. They are made of non-porous, composite nylon and polyamide materials, making them durable and easy to clean. They withstand temperatures up to 450 degrees Fahrenheit and won't damage non-stick cookware.